Does it require any tools to erect? There are 8 x bolts to fix within each unit, so you just require a tool to do this part. How quickly can I erect a Forma-Stor? This depends on the size store you have purchased, and how many people you have to assist, but they have been erected in less than 6 minutes! 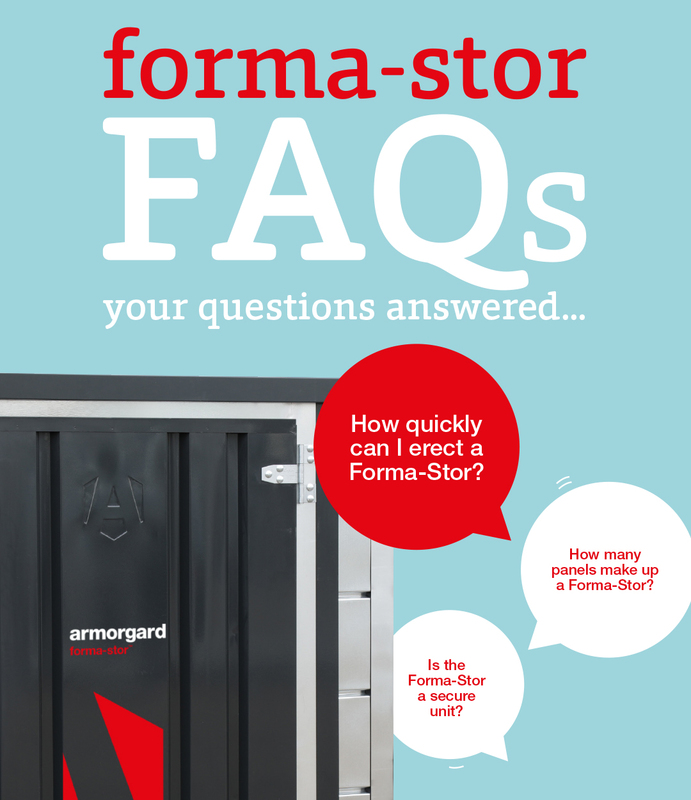 Is the Forma-Stor a secure unit? The Forma-Stor has been designed with security in mind, including secure 5-lever deadlocks to secure the door shut. How many panels make up a Forma-Stor? Each Forma-Stor is made up of 4 x wall panels, a base and a roof. What makes a flat-packed unit better than a fully welded unit? Where access is tight or limited, these units can be taken to location one panel at a time. A flat-packed Forma-Stor caters for easy storing while not in use. Easy to transport between sites and around the site. Woth forklift pockets and crane lifting eyes, they are easy to move when erected or flat-packed. Is the Forma-Stor a stock item? Yes. Armorgard keep the Forma-Stor in stock for immediate despatch. Do you deliver the Forma-Stor to me, or do I have to collect? Yes. Armorgard deliver across the UK, often the carriage is an additional cost. Forma-Stor can also be collected from our central distribution centre in Fareham. Could talent fit be the cure for the construction productivity syndrome?